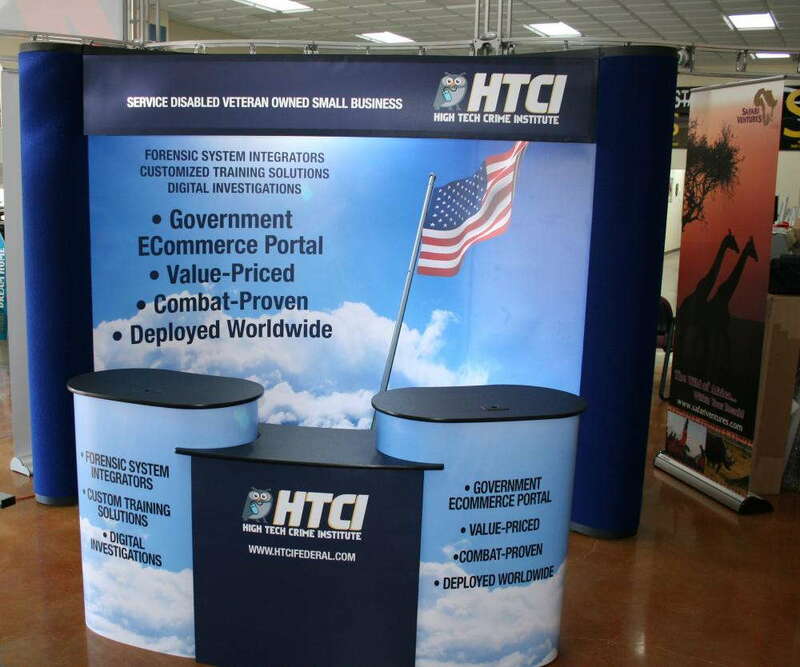 Make your portable trade show display the star of the show in North Carolina’s capital region. SpeedPro Imaging Raleigh has the knowledge, tools and resources to take on your project. Our staff has more than 20 years of combined experience, and we don’t believe in saying no to any request. If you operate a business in the area, come see what we can do for you! Having a functional pop up trade show display that easily grabs people’s attention is vital to any business’ marketing strategy, as it promotes your products and services in a professional, memorable way. Whether your business is a frequenter of festivals, expos or anything in between, our dedicated visual communication experts will work with you closely to find your ideal solution. With our extensive product catalog, we’re confident that you’ll leave our studio satisfied. Every graphic and accessory you commission will be lightweight, vibrant, easy to set up and effective at gaining you business. 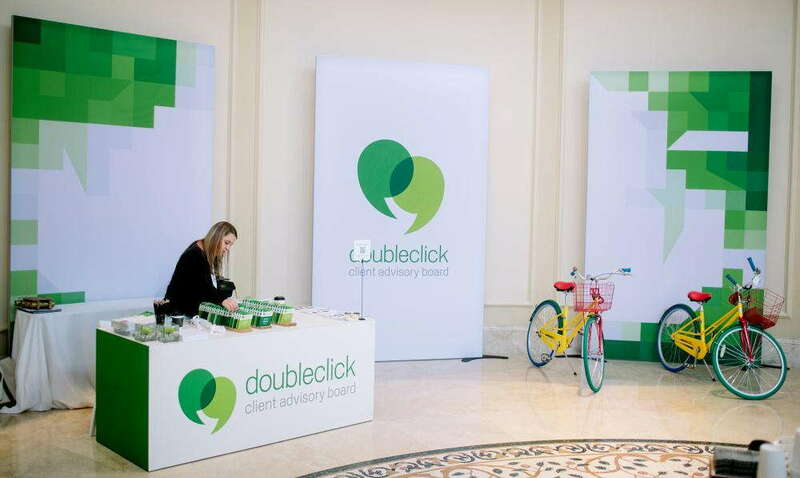 Banner stands: When it comes to versatility and brand recognition, there aren’t many elements that can match the effectiveness of our retractable banner stands. You can select from multiple sizes, styles and models. Styles include retractable, telescopic and spring-back. Our three models, which vary in metal gauge and internal mechanism strength, include economy, standard and premium. The banners themselves can be single- or double-sided. Hop ups: Hop ups are another flexible marketing tool that’s easy to move around and position as you need. 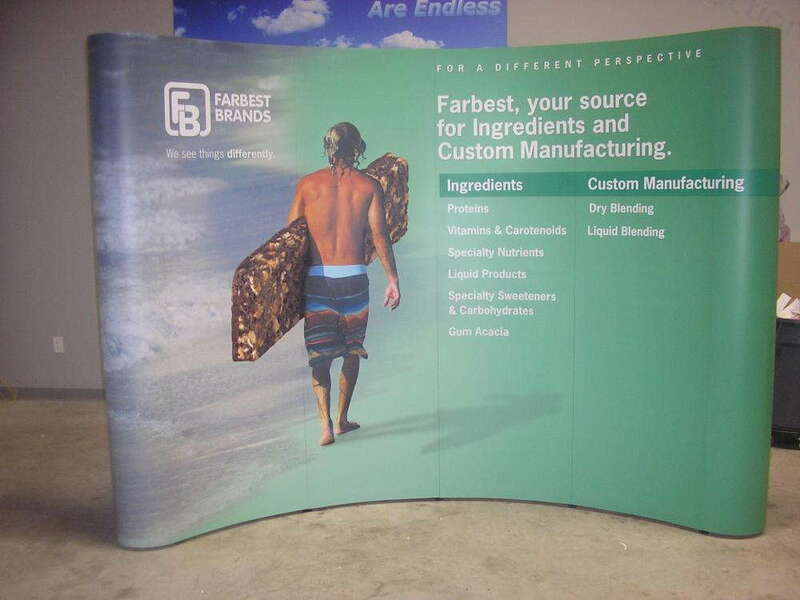 Create a vivid trade show backdrop, or utilize them as tabletop displays that complement your other branding elements. The kits and the fabric graphics you clip into them are both lightweight and require no tools to assemble. Use convenient carrying cases to pack them away and travel with them. Table toppers: We can provide branded table covers and runners to match your other branding elements. Round table formats include fitted or stretch throw. For rectangular tables, we offer convertible and imprinted throws. Other options you can choose from include curved, multiple-level and multiple panel. Tents: With our varied and colorful tents, your business will always have an unmistakable beacon to use at concerts and festivals to signal your brand. Styles we offer include popup, tubular and inflatable, and they also come in a variety of sizes. You can pair them all with an assortment of different accessories — like fabric walls and billboards — to complete the ensemble. 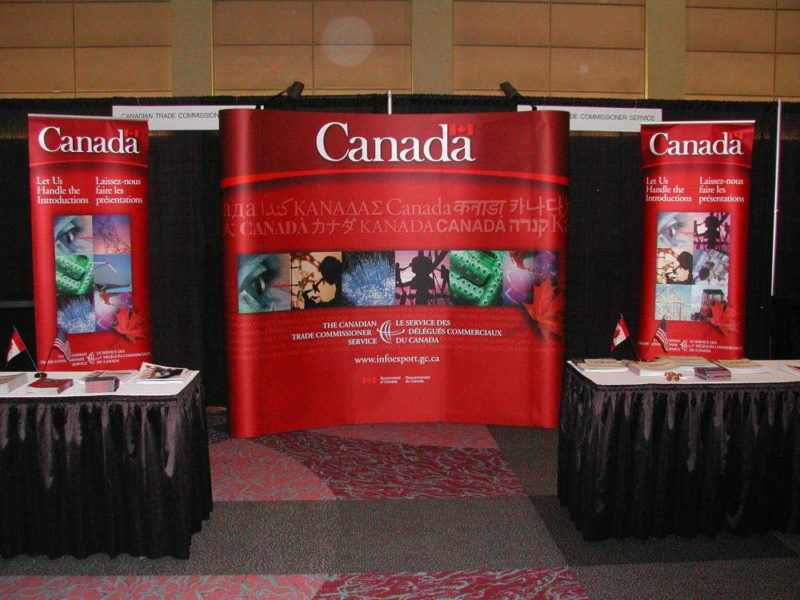 We also provide flags, backlit graphics, pop up displays, table toppers, monitor and tablet displays, kiosks and literature stands, among seemingly countless other options. With everything we craft, we’ll use the best color-matching practices so that everything lines up harmoniously. Contact us today to schedule your consultation, or come visit us at our studio on Sumner Boulevard, near Interstate 540 in Raleigh.